Watch this video and see how Matias writes this somewhat tricky 500 word casino SEO text in 16 minutes, making 32 EUR an hour. Can you beat his time? With the help of Matias and the information in this blog anyone good at language can be a great casino SEO writer! Check for the active “Vinnarum” or “Voittohuone” projects in Wordapp. Available in Swedish, Norwegian and Finnish. Bonus Game: This is a secondary event in a slot game that allows the player to win extra money by doing something other than spinning. Hit Frequency: Gives you an idea of the number of wins versus the number of games played. Multiplier: Every coin you wager is multiplied evenly with the pay schedule for the winning combination. Pay Line: The line, or lines where symbols will result in a win. Payback: Also known as payout percentage, is the percentage of money the machine pays out compared to how much has been put in. Progressive Jackpot: This is a jackpot that grows higher and higher the more people play. Sometimes it is a jackpot shared by different slots building up to one humongous jackpot. Reels: These are rotating barrels where the symbols appear. Three reels is the most common, but there are four or five reel slots as well. The more reels, the harder it is to hit a jackpot. Scatter Pay: This is a winning combination where the individual jackpot symbols don’t have to line up on a single pay line. It’s common on video slot machines. Symbol: The image that spins on the reel. Wild Symbol: Acts as a joker symbol to make up a winning combination on the pay line. Join Wordapp as a writer and get started right away or sign up for a workshop where we help you write and get paid for your first text. 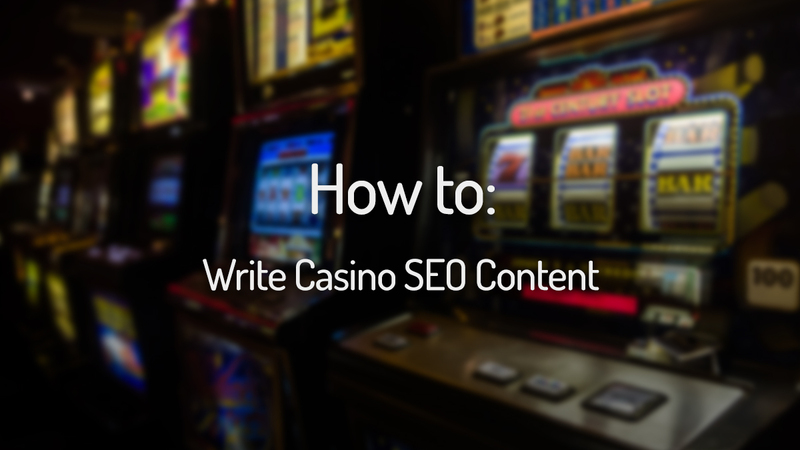 If you’re in need of Casino SEO content sign up as a publisher!